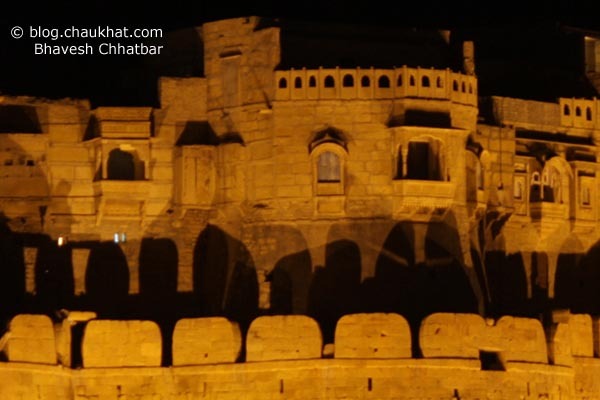 Jaisalmer Fort at night. Royally ambient lights are showcasing the walls made of yellow stones naturally found in Jaisalmer. A house inside the Fort of Jaisalmer — rare fort still housing some of its citizens inside the wall of defence. The panoramic view of the Fort of Jaisalmer is available for sale in Premium Photo Painting format. 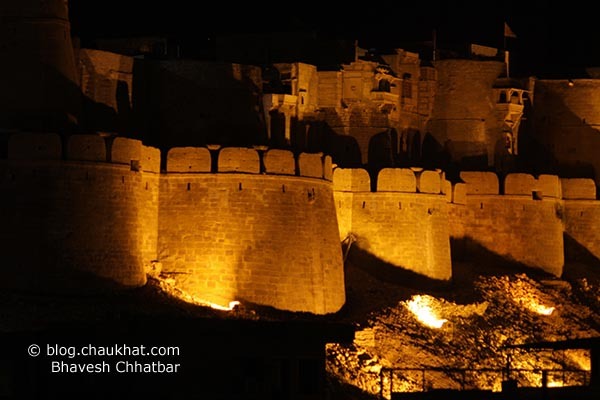 For preview, and to order, please click on Premium Photo Painting of Jaisalmer Fort at Night. Pushkar. My ticket home..and the new computer..decimated my travel budget. This is a beautiful nighttime image. Thanks for participating! I'm happy that you like the photo. It's my pleasure to participate in your meme. It's so beautiful with lights and shadows. The view is truly awesome!